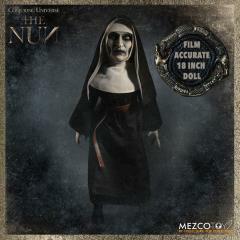 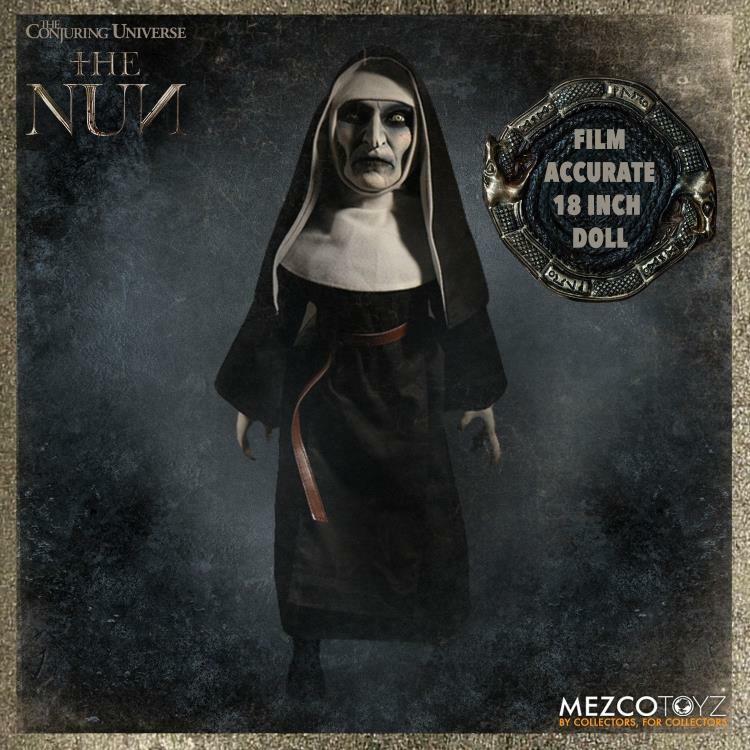 Standing at approximately 18 inches tall, The Nun doll action figure might just be as scary as the film. 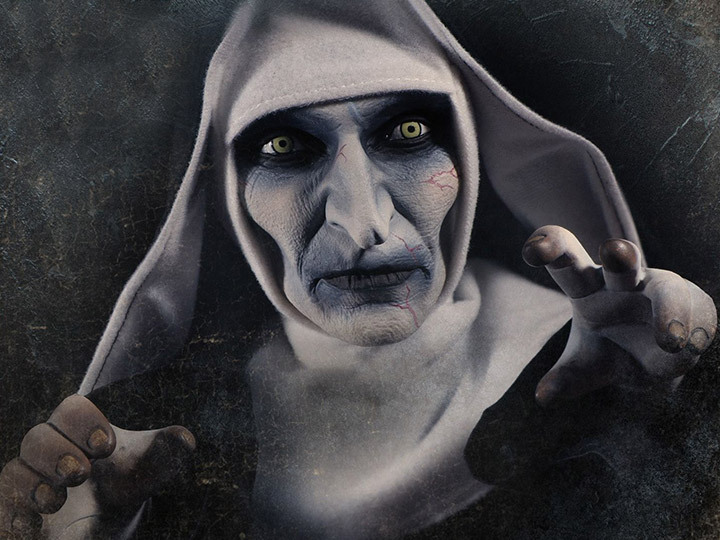 Her bright, piercing eyes stare directly into your soul and she features a film-accurate habit complete with a tunic, cowl, and veil. 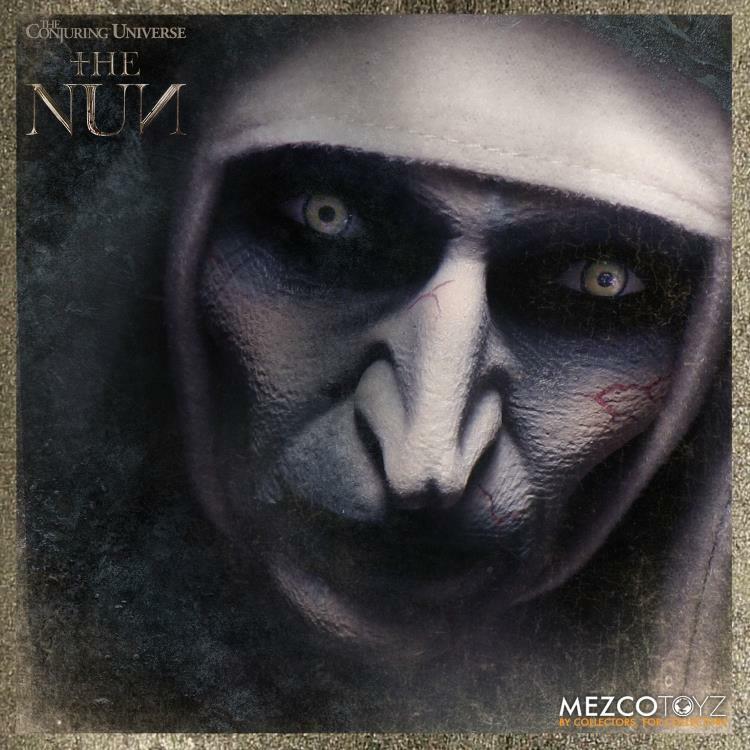 First introduced in The Conjuring 2, horror fans got a quick glimpse of The Nun in a haunting scene where demonologist, Lorraine Warren, is attacked by the spirit. 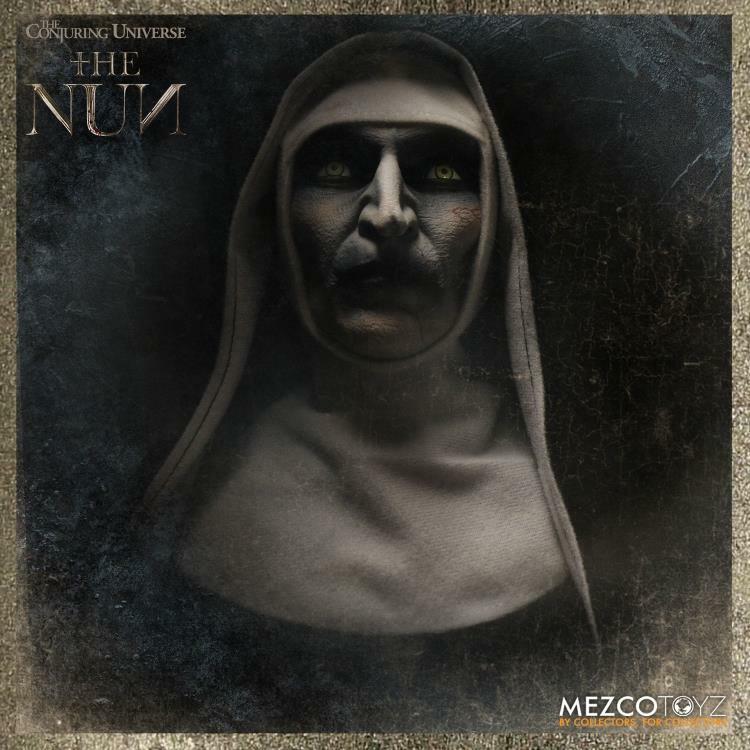 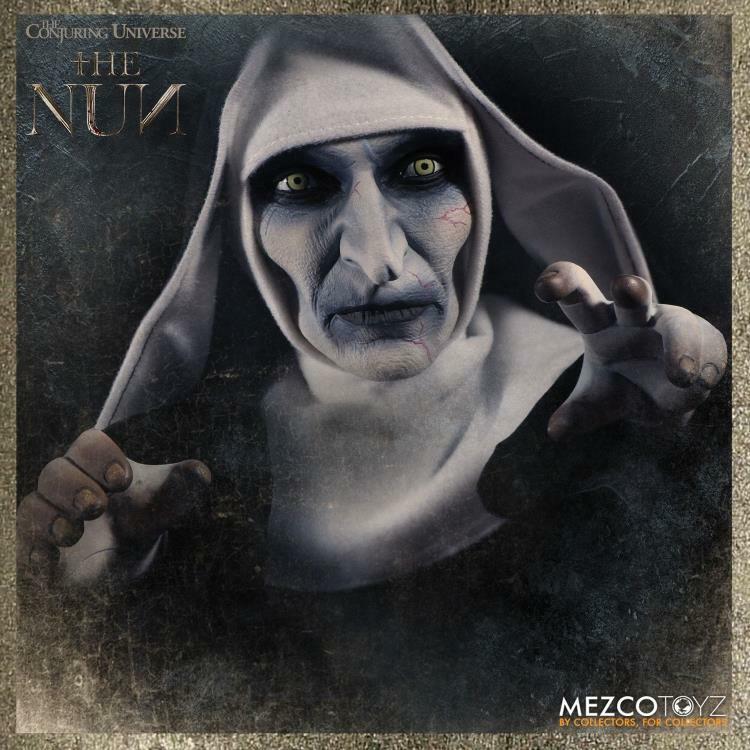 in 2018, The Nun stars in her own self-titled film exploring the unholy origin and dark secrets of her past further expanding the Conjuring’s Horrorverse. 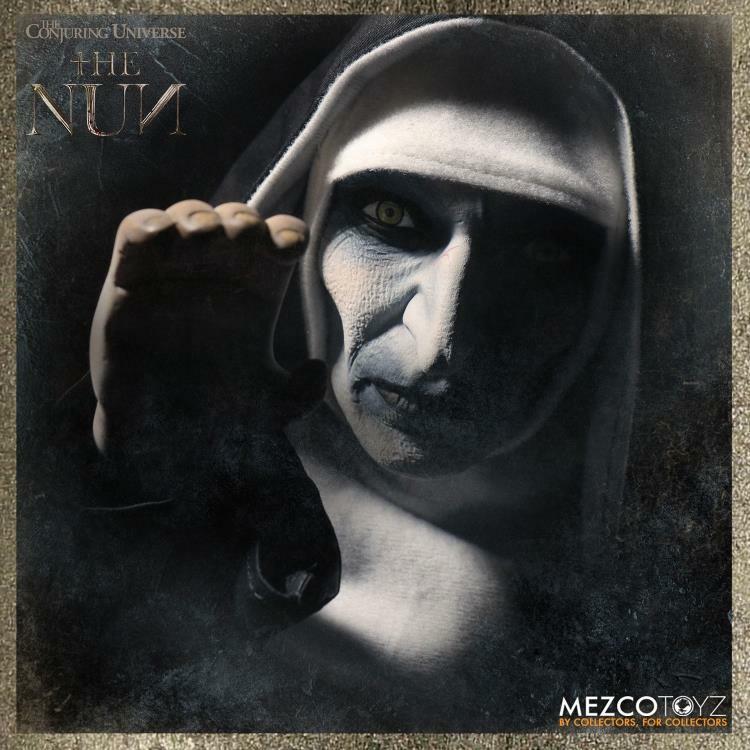 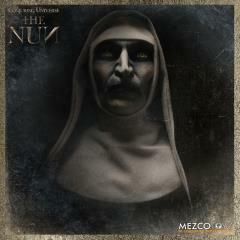 Mezco's The Nun comes packaged in a die-cut window box, perfect for display.